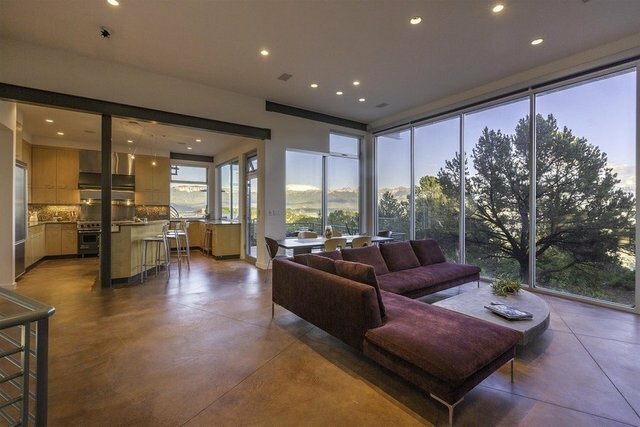 This stunning contemporary home was constructed with high-end materials and offers massive, panoramic views of the Sneffels Range and the Cimarrons as well as the entire Ridgway Valley all the way to Ouray. The location offers easy access to the Telluride Ski Resort, several golf courses, and the Montrose airport (MTJ). The residence is comprised of four bedrooms, three and one half bathrooms, 3,584 livable square feet and a three car garage as well as several decks and patios and 1.82 acres of land.